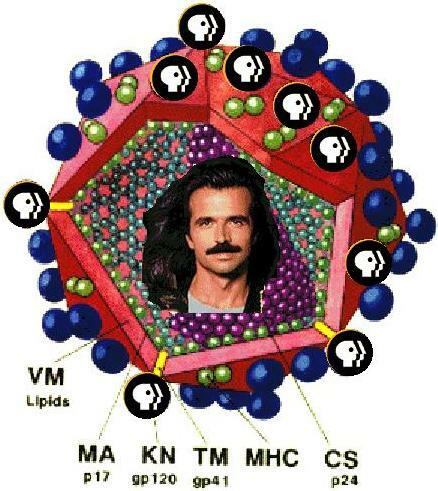 In the mid-nineties, Yanni adopted PBS surface glycoproteins to escape aesthetic immune detection. The new protein coat made his concerts appear to be part of the "trusted community resource" that is public television. It is estimated that over half a billion people were infected by his "Live at the Acropolis" special. We are currently developing a vaccine that targets Yanni's less-mutable highly-conserved inner proteins to slow the spread of this pandemic. Musical execution is only then art, only then infects, when the sound is neither higher nor lower than it should be, that is, when exactly the infinitely small center of the required note is taken; when that note is continued exactly as long as is needed; and when the strength of the sound is neither more nor less than required. The slightest deviation of pitch in either direction, the slightest increase or decrease in time, or the slightest strengthening or weakening of the sound beyond what is needed, destroys the perfection and, consequently, the infectiousness of the work. Tolstoy intuitively understands the nature of aesthetic space and the cross-reactivity of our aesthetic immune system detectors, but lacks the theoretical framework of modern immunological modeling. We hope to bring current understanding of immune systems to his philosophy of aesthetics.